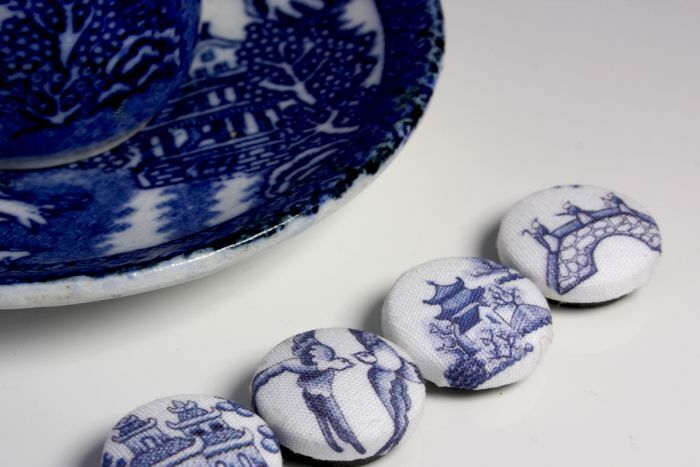 This week’s Design File is about Willow Pattern china. If ever there was a design that symbolised a cosy, bourgeois life then this would surely be a contender. It’s the sort of thing Betjemen might have equated with fish knives and other non-U items. It has a kind of retro-charm, of course, the fussy design and the fact that it is an entirely phoney Chinese tale, just a romantic idea. Perhaps that is what kept it so popular for so long. My parents had Willow Pattern as the everyday crockery. When a cup or a dish was broken it was easy enough to replace and so, over the decades, it evolved into an odd kind of set with the same pattern in different hues of blue because so many different companies produced their own Willow Pattern. It didn’t seem to matter. 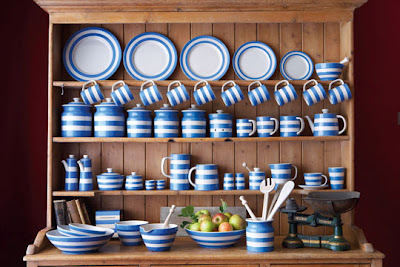 The other ‘everyday’ sort of china was Cornishware, that creamy earthenware decorated with simple bands of blue. Cornishware jugs have always seemed to me as particularly healthy, even when filled with custard. It’s as though they belong to a category called wholesome design. Is there such a thing? It set me thinking about what other things might fall into the category of wholesomeness. I was pondering it one morning over breakfast at the table in our bay window, gazing out at the garden, feeling the sun on my back. And it came to me: isn’t the bay window itself such a symbol? I think they’re great things and it was certainly the reason why I bought this house – it has two large bay windows either side of the front door. They’re so deep that the dining table sits totally within one, meaning that you can look out into the garden from wherever you sit. They catch the sun from morning until evening, and people smile when they see them: oh, bay windows! The house I lived in as a teenager had bay windows, standard-issue 1930s ones with leaded glass for that Tudor look the builders of the time so loved (and yes, the gable above was half timbered). The sills of the upstairs bay were low enough to allow you to sit on the floor and easily look out. Our little terrier loved lying there, flat out as though she’d been filleted, basking in the sunshine, and still able to see the postman when he came up the drive. Friends of mine have a tall Victorian house in the centre of the small English town in which they live. The sitting room is on the first floor and it has a big bay window. When someone rings the doorbell, you can look down from the window and see who is there. And it’s always a simple pleasure standing there looking up and down the street, giving the room a strong sense of connection to the street without feeling in the least bit overlooked. 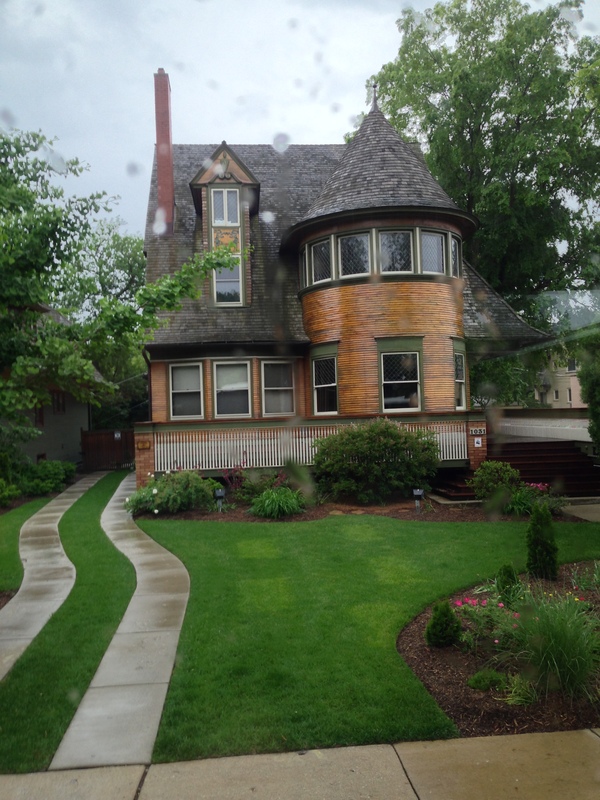 Do modern architects build bay windows any more? 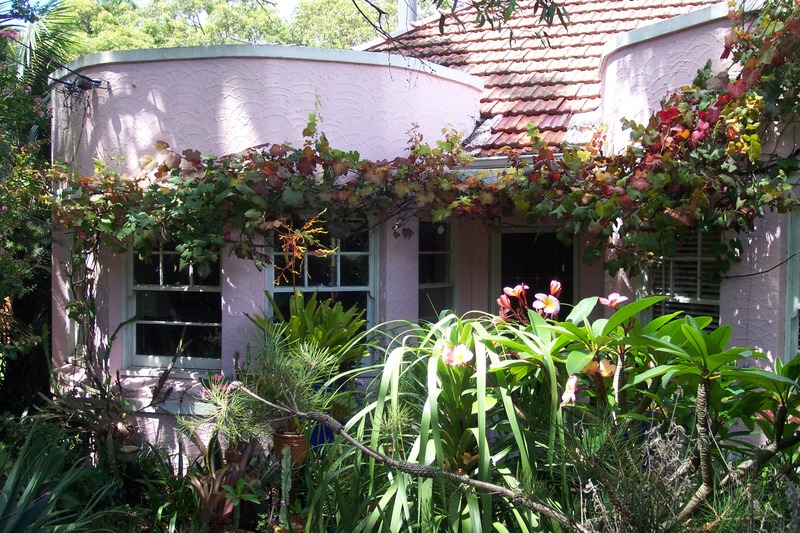 Often they require a re-jig of the roofline – an added gable, perhaps – or, like mine, a parapet around a flat roof. And that means additional cost. But there’s such a sensory pleasure standing within a window rather simply at it. It doesn’t even have to be that deep, really, and not full height, although maybe that’s more of a bow window, deep enough for a window seat and not much else. One of my favourite houses is Broadleys on Lake Windermere, in England’s Lake District. You might recognise it as the backdrop from the film of The French Lieutenant’s Woman. It was designed in 1898 by that sublime Arts and Crafts architect Charles Voysey, the man who combined aspects of the English vernacular such as buttressed walls, substantial chimneys and the inglenook to create houses that have the kind of appeal that goes straight to the heart (well, mine, at least). Broadleys looks down over the lake, one of the prettiest in England and those bay windows are a real connection with the landscape, maintaining what architects like to call ‘a dialogue’ between outside and inside. 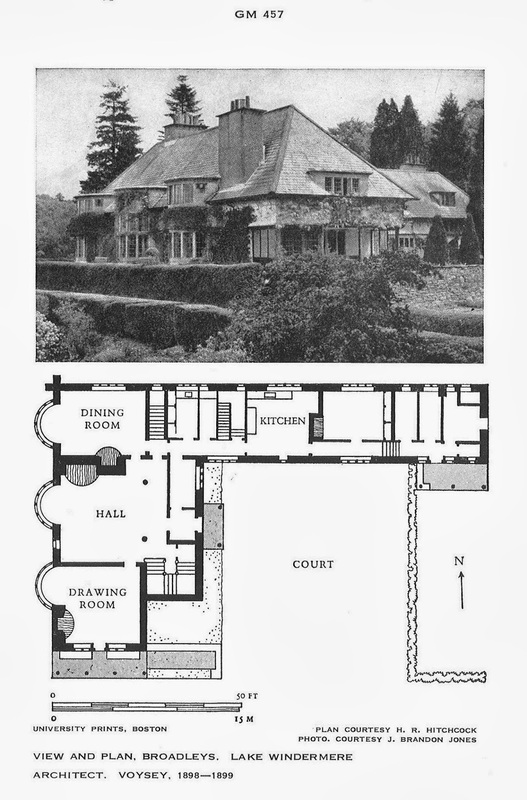 Most of Voysey’s houses have bay windows. 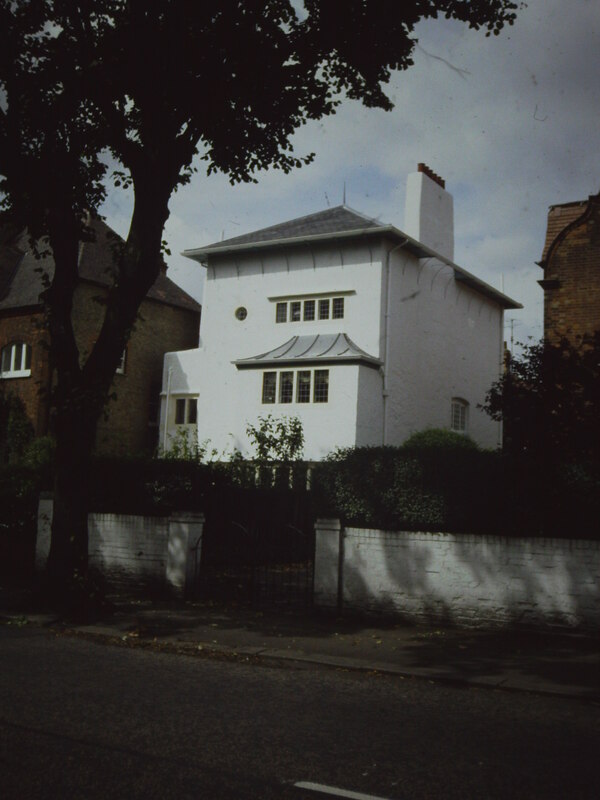 Every time I travel to London, I always make sure I look out from the Tube train to and from the airport to catch a glimpse of Voysey’s lovely tall house at South Parade in Bedford Park. That white rendering, the deep eaves, the broad windows – it strikes me as a happy and dignified house. This was built in 1891 and in it you can see the link to houses by Rennie Mackintosh, Hoffman, Frank Lloyd Wright and even Le Corbusier’s earliest buildings in La-Chaux-de-Fonds. It gives me a boost whenever I see it.